Investment bank Cascadia Capital has published its predictions for sustainable industries in 2011, one of which is that waste-to-energy, helped by rising oil prices, will be more widely adopted. Cascadia specifically mentioned InEnTec, which was recently honored as 2010 Top Innovator by the Wall Street Journal, that uses new technologies to transform industrial, household and even medical waste into electricity and fuel for transport and also mentioned Plasco Energy Group which also uses plasma waste gasification technology. They predict that oil will rise to over $100 per barrel, which will encourage investment in waste-to-energy and also lead to increased use of natural gas making it a more viable energy alternative. As a result, traditional energy companies such as BP, Chevron and Shell will acquire more renewable energy technology companies, including waste-to-energy. Among its other predictions is that Congress will abandon cap and trade in favor of policies that focus on gas, nuclear andrenewable energies. See also: "Plasma Energy Company InEnTec Wins Wall Street Journal Award," (www.wasteinfo.com/news/wbj20100928C.htm). SEATTLE - December 6, 2010 - Cascadia Capital, a diversified, boutique investment bank serving both private and public growth companies around the globe, today announced its sustainable industries predictions for the coming year. Chairman and CEO Michael Butler, an emerging thought leader in the New Energy Economy, predicts the energy sector to spur a flurry of M&A and investment activity as renewable energy technologies mature. A national energy policy is a top priority that crosses party lines given its importance to the future of the economy and the environment. Cascadia believes that Congress will implement a policy in the coming year that focuses primarily on gas, nuclear and renewable energies; however, it will not include economic incentives for achieving a reduction in carbon emissions. There are too many loopholes, including free permits and offsetting, which prevent cap and trade from becoming a feasible option in the U.S.
Oil markets are traditionally sensitive to a pick up in economic activity. As the economy continues to slowly improve over the next 12 months, Cascadia predicts that oil will hit $100 per barrel. At the same time, oil companies will look to expand their operations by purchasing natural gas assets and companies that make technology for natural gas extraction. 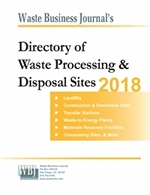 Although natural gas is not as clean as renewable sources, it will continue to be seen as a viable energy source readily available in the U.S.
Cascadia believes that technologies capable of converting municipal solid waste to energy will be ready for commercialization in 2011, with companies like Plasco Energy Group and InEnTec leading the charge. The industry will also see projects similar to the Salinas project in California roll out over the coming year. Cascadia predicts that traditional energy companies such as BP, Chevron and Shell will enter the renewable energy sector through acquisition. M&A activities will be primarily focused on companies in the wind, solar, waste to energy and energy efficiency markets. "Energy policy and sustainable technologies continue to draw significant debate from consumers, pundits, politicians and investors around the world," said Butler. 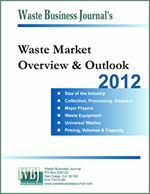 "In 2011, the energy landscape will be marked by significant investment activity from oil companies, M&A of renewable energy companies, and the introduction of new technologies for transforming waste to energy. These markets will continue to draw a great deal of attention as oil prices continue to rise and the formation of a national energy policy is thrust back into the spotlight." The rate of financing mechanisms, technological innovation and policy changes that impact the Sustainable Industries space has been staggering over the past five years. Cascadia Capital helps clients navigate this dynamic market through constant dialogue and strong relationships with venture capital, growth equity, private equity, debt and corporate investors who operate in this market sector on a global level. Cascadia Capital is a diversified, boutique investment bank serving both private and public growth companies around the globe. Cascadia's business is diversified in terms of the industries the firm covers - Information Technology, Sustainable Industries and Middle Market - and in terms of the range of advisory services it provides - Mergers and Acquisitions, Corporate Financing and Strategic Advising. This diversification provides the firm with stability amidst market fluctuations. Cascadia is a pure advisory firm, and unlike other investment banks, is not conflicted by trading, lending, research or crossselling business. For over a decade, the firm has delivered the best outcomes for clients based on its transaction experience, domain expertise and commitment to building longterm relationships. Cascadia always acts in the long-term interests of clients, and honors its position as a trusted advisor. For more information, visit www.cascadiacapital.com.